With experience in sales operations and financial management, Diane Kaern has worked for multiple global multibillion-dollar corporations over the course of her career. In her leisure time, Diane Kaern has been found underwater, as she is a certified scuba diver. Certification as a scuba diver means the individual has received formal training and passed a test in scuba diving technique and the use of scuba equipment. A scuba diver can become certified by taking courses and passing a test from an accredited scuba diving certification agency, such as the Professional Association of Diving Instructors (PADI) or the National Association of Underwater Instructors. Courses teach divers scuba diving techniques and train them in the proper use of all equipment. Divers learn to fill their own tanks and undergo assessments to determine safe physical fitness for scuba diving. The instructor tests the diver’s ability to swim yards, float, and tread water, although divers may use methods of their own choice. Training courses typically consist of four parts: book work, written exams, pool training, and open water dives. The book work and written exam portion of the course teaches the basics of scuba diving and many agencies allow you to complete these parts online. Divers put the skills they learn into practice during pool training, which takes place in a pool or pool-like environment. Once they finish pool training, divers need to complete four to five open water dives in order to complete their certification. Divers may also have to comply with other requirements, depending on the agency they choose. 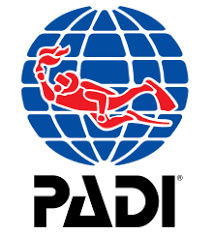 For instance, PADI does not allow divers under the age of 10 to enroll in their courses, they must be at least 15 years old to receive an Open Water Diver certification. Divers between the ages of 10 and 14 can earn a PADI Junior Open Water Diver certification. NAUI increases the minimum age for enrollment to 12 years old.